I started Wellspring Writes because I know words can compel people to generous action. Throughout history, words were used to birth movements that changed the world for the better. Through calligraphy and design, I have the privilege of being a part of that tradition. 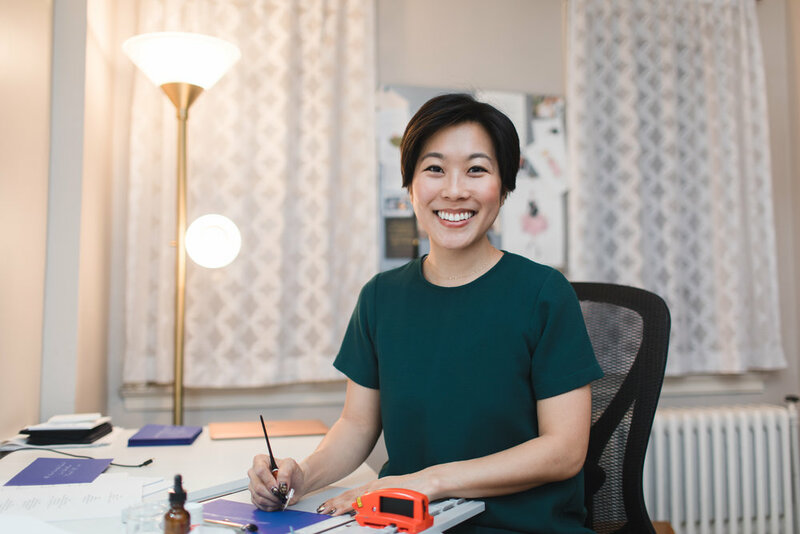 Calligraphy is a way for me to express what’s important to me: slowing down and taking the time to create something that is beautiful and meaningful, a way to honor my mother, and to connect with people. By using different colors, mediums, and papers I aim to bring together a variety of elements to make something unique. Currently, I am a member of the International Association of Master Penman and Teachers of Handwriting (IAMPETH), and Society of Scribes (New York City's Calligraphy Guild). I've had the wonderful privilege of studying under some amazing people who love this art as well: Harvest Crittenden, Heather Held, Suzanne Cunningham, Joi Hunt, David Grimes, James Fazz Farrell. Clients I have worked for include: Burberry, Salvatore Ferragamo, Vice Media, Ted Baker, Byredo, LiquidText, Hearst Magazine, Avon, and Tocca. Because of my belief in the power of words, a portion of proceeds goes to CCEF, a non-profit organization that educates and empowers people to impact the lives of others around the world.